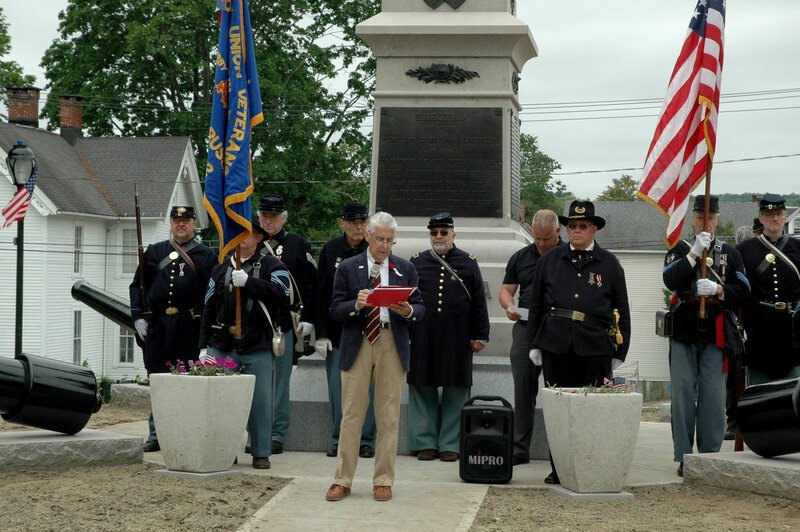 Jamie Cohen who conceived the idea and lead the fundraising effort to restore the historic Civil War monument on the Derby Green speaks at a short ceremony held following the Memorial Day Parade. A more formal ceremony will be held at a later date. Click here to learn how to donate to this project.